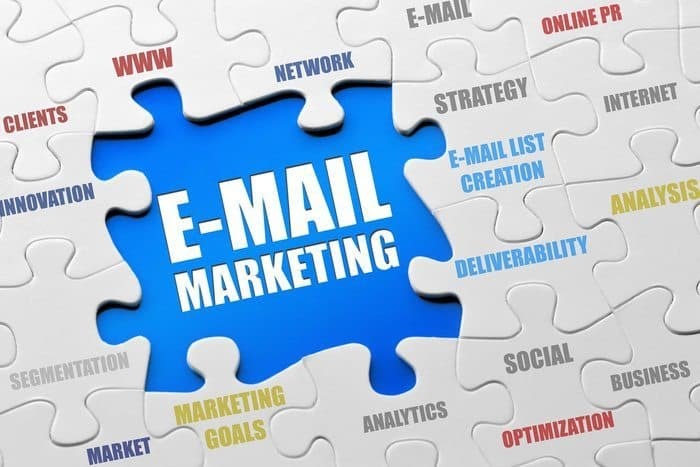 Email marketing has always been the number one way to capture consumers’ information, get leads to promote your products to, and keep people coming back to your business. …and it’s likely to stay that way for quite some time. Why will it probably stay that way? An email address is something that people value, and can be reluctant to give out. In comparison with a like on Facebook, or a follow on Instagram, attracting someone towards giving you their email is tough. As people value their email address privacy higher than any form of social media, then it’s also where as a business your promotions can reach them the easiest. There’s no serious clutter like you’d experience on your news feed. Why do I need to use email marketing tools? There are hundreds of email marketing tools on the web; the majority of them doing the exact same job. How the heck are you supposed to narrow your searches down to just the tools you actually need? This article hopes to help you with that decision making process. What will these 10 email marketing tools help me to do? Before we get started, it’s important to realize just what the tools on this list are going to help you achieve with your email marketing campaigns. Some of the tools will fill the same need for your business, however we’ve included them to give you a few options to choose from. Your choice will depend on your budget, personal preference, size of your business etc. 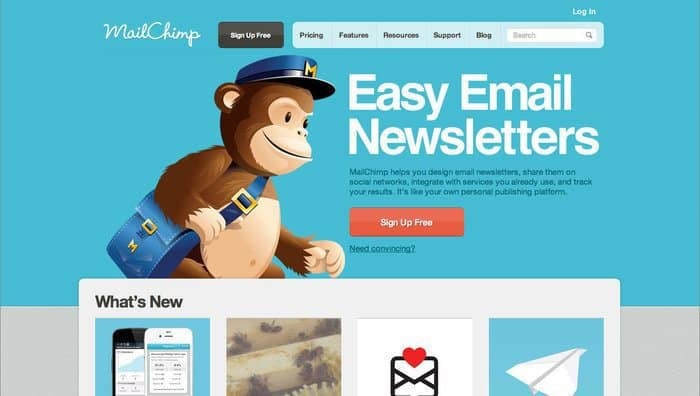 These are the top 10 recommended email marketing tools by us here at Wealthy Gorilla. We use several of these tools on a daily basis, have tried and tested others, and have had input from others using the rest. 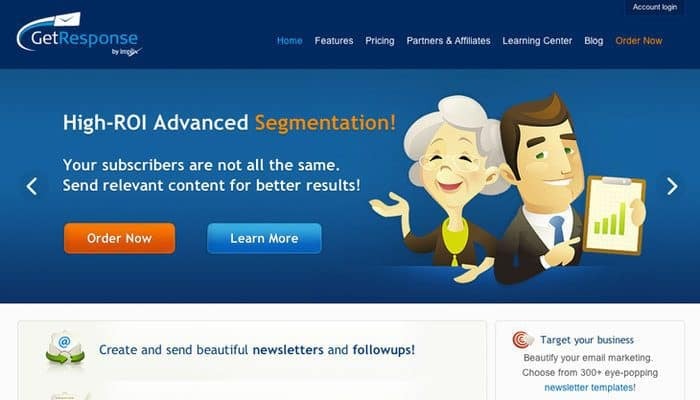 Aweber is the software we use to collect and store all of our subscribers emails. Using this tool, we can collect the names and email addresses of our readers, send them regular emails and track the engagement levels. It’s also possible with Aweber to design opt-in forms, that you can place on your website to capture these emails, however the forms are fairly basic. 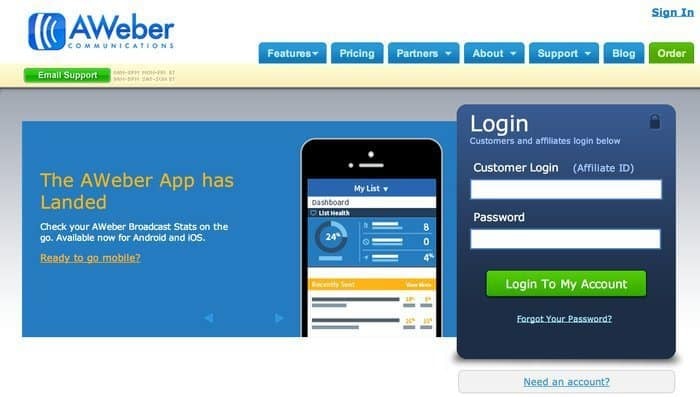 We’ll mention a tool in a minute that can be combined with Aweber to produce attractive opt-in forms. Prices start at $19/month for 500 subscribers and access to all features. The plans then increase at a very steady rate. If you need a quote for over 25,000 subscribers, you can contact them to get an exact price for your needs. 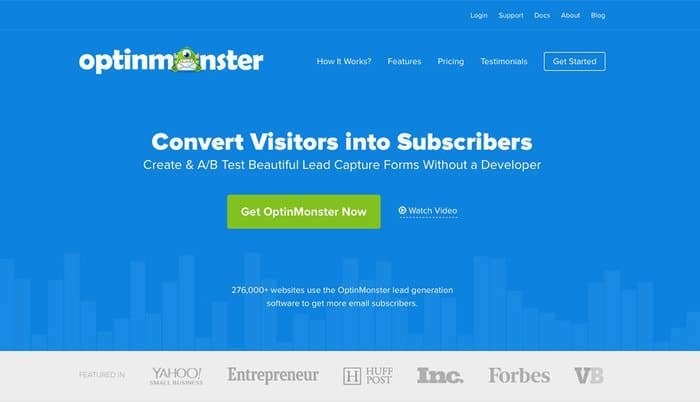 The tool to design incredible opt-in and lead generation forms is of course OptinMonster! If you’re not already using this email marketing tool for your online business, you need to check it out immediately. There’s plenty of different templates and styles to try out, along with some nifty features like the ‘Yes’ and ‘No’ tool. You’re also able to choose from a range of options when the form should appear, and have A/B testing at your disposal. Create different variations, split test them, and track which performs better. Prices start at $9/month or $49/year for the basic plan. To seriously make the most of OptinMonster though, you need to opt for the Pro plan. This gives you access to all features, and is only $29/month or $49/year. Mail Chimp is a very similar service to Aweber. The two are often very closely compared in many blog posts you may have stumbled across previous to reading this article. The differences tend to lie within the price plans, and the amount of emails you can collect before having to upgrade to the next biggest plan. We prefer to use Aweber for our email database, which is kind of ironic considering we love all things ape! However, this is just because of the way the plans progress, and the extra capabilities we feel Aweber has over Mail Chimp. There’s a Free plan available for up to 2000 subscribers and 12,000 emails per month. Alternatively, for unlimited emails prices start at $20/month, and go up $5.00 for every 500 more subscribers after that. Which can become costly, quickly. When we moved across to PressLabs for our website’s hosting, they integrated Zoho for us, to be able to send and receive business emails. They include all the features you’d expect to come with an email provider: email templates, folder creation, signatures and such. 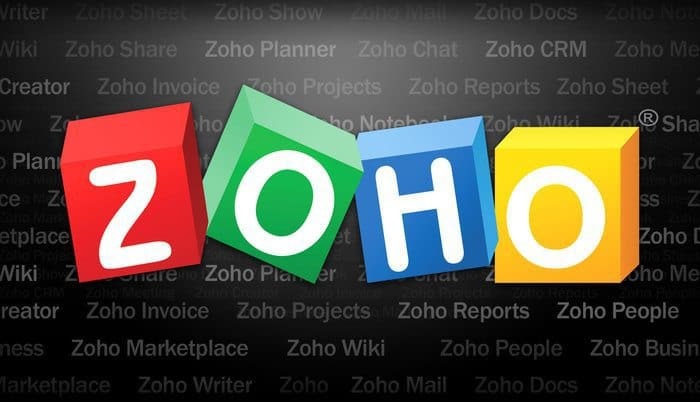 The great thing is that email is just one of the many different apps Zoho can offer. They have a tonne of sales and marketing apps. Including those to help you build websites, improve conversions and create marketing campaigns. There’s a Free plan available, which may be good enough for most people. For larger businesses, there’s 3 plans, with the most expensive costing only $10/month per user. 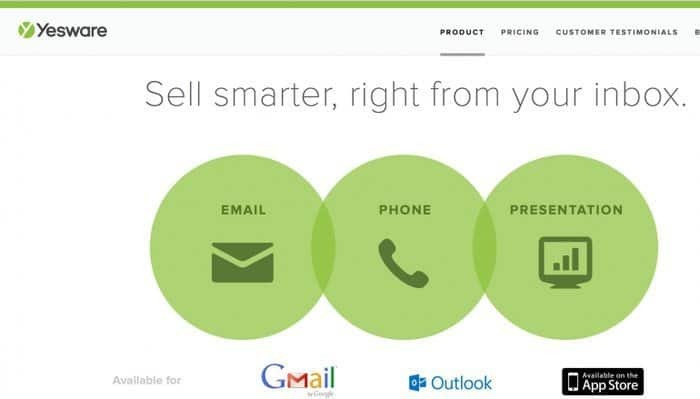 Infusionsoft is an incredible email marketing tool for larger businesses, giving you everything you need. Including eCommerce integration, efficient task handling, advanced email templates and more. On their homepage you can see excellent testimonials from the likes of Forbes, Entrepreneur Magazine and The Huffington Post. However, with extra capability comes a higher cost; and for many small businesses the price of Infusionsoft might be a little too high. But we’ll get into that in a second. Prices start at $199/month, and can increase to $599/month for large businesses. There’s also some additional extras that’ll help you get everything up and running more efficiently through the use of Infusionsoft support. Similar to Infusionsoft, GetResponse is another excellent tool for your email marketing needs. GetResponse offers great and responsive email design, auto-responder services, and other great features such as A/B testing & landing page design. You get the option to try GetResponse for free before you buy, which is perfect for individuals that are finding it tough to make the choice of which email marketing company to use. Neil Patel says GetResponse is his secret weapon when it comes to email marketing. Prices start at $15/month for the email marketing basics, but it’s very easy to outgrow that and jump to the $49/month Pro plan. For high performance marketing solutions, the price can increase to over $799/month. 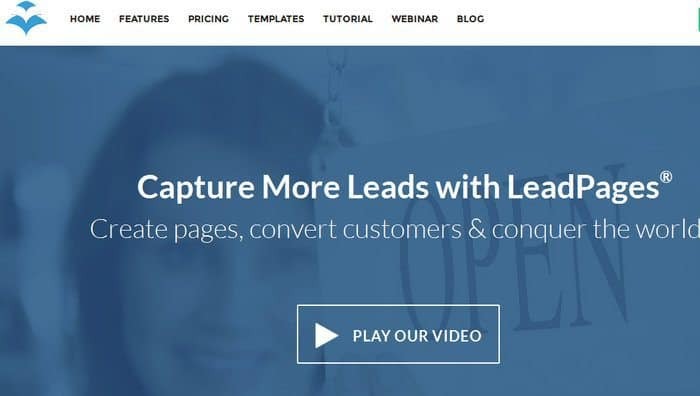 LeadPages is an incredibly powerful landing page software. It’s used by thousands of businesses to design awesome pages that allow them to dramatically improve their conversions. Within this, comes the ability to design great pages, but also integrate with some of the email services above such as Aweber and MailChimp. LeadPages users have the power to create everything they need in order to promote their offers and collect more subscribers. You can check out their homepage to see more of the landing page templates they offer, and how you might be able to use these to your advantage. Prices start at $25/month for the Standard plan. However, to access all of the powerful features available, you’ll need to select the Advanced plan, which costs $199/month. YesWare is the perfect email tracking tool. It’s designed specifically to help you understand how effective your emails are, and how you can improve upon them. With this tool, you’re able to see who’s opening the emails you send, who’s clicking the links within that mail, and you have the ability to split test in order to achieve the best results. The great thing about this app is that it can be used with standard email providers, such as Gmail and Outlook. Therefore giving regular email users the ability to track their results even when sending emails through their regular applications. Prices start at $12/month for the Pro plan. If you have a large team of employees, you may end up needing the Enterprise plan which is $55/month. 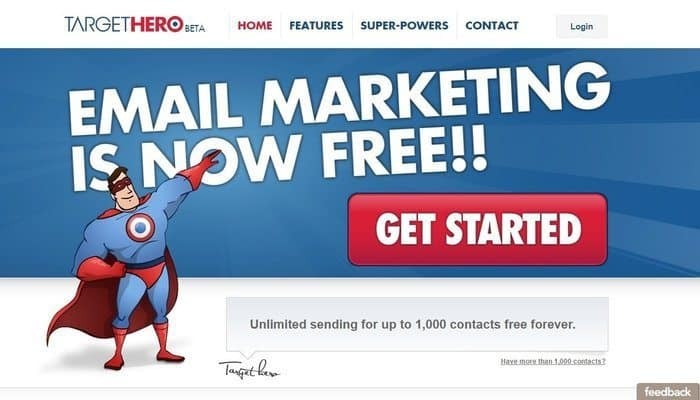 Target Hero is probably one of the lesser known tools used to collect email subscribers and send them emails. It provides all the essential features you need, such as being able to build and manage email lists, create email templates and send mail to your subscribers. As well as carefully track the results of your hard efforts. Even though it’s not as mainstream as the likes of Aweber and MailChimp, that doesn’t mean it shouldn’t be considered as a viable option. The only downside is that you can only collect up to 1000 subscribers before having to upgrade to their brother company ‘Active Trail‘. Target Hero is Free for anyone to use. However, you can only have up to 1000 subscribers. You can upgrade to Active Trail afterwards, and they’re definitely worth checking out. 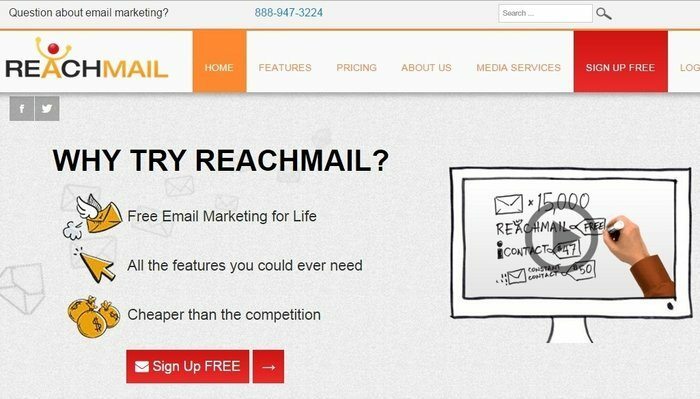 Last on our list of recommended email marketing tools, is Reach Mail. Reach Mail is worth taking a look at! It’s a lot cheaper than the competitors, and you can even try it for free for up to 5000 subscribers. There’s a long list of awesome features you can check out, and they’re no less than you’d expect from any email marketing software. Reach Mail is Free for up to 5,000 subscribers, then the plan moves up to $10/month for 7,500 subs. Their Gold plan is $70/month and gives you a hefty capacity of 25,000 subscribers. Which Email Marketing Tools do we use? I guess the only question remaining is which tools/services out of the above should you use. The end decision will of course depend on your budget and overall need, however for every business we always recommend the three tools we’re using. These 3 tools have been perfect for our email marketing needs, and they each play an incredibly important role in capturing, sending and receiving emails. The price for all three is relatively low, so they’re well worth laying down the cash for. Here’s some other awesome business tools we use! 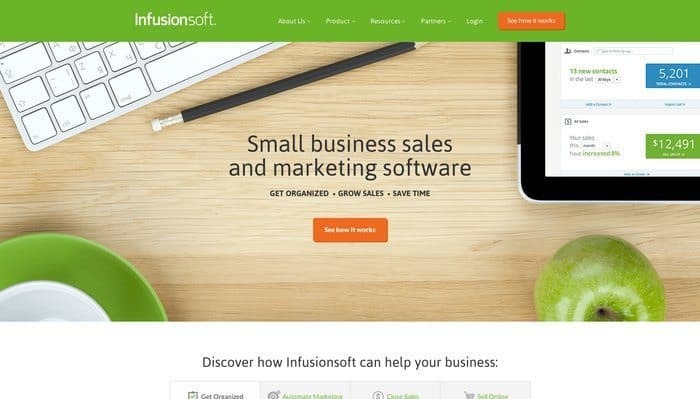 We also seriously recommend Infusionsoft for large businesses with a little more budget and need! For any online business, these email marketing tools are a must. Not all of them, but at least a couple combined together. As you can see, we use 3 of the tools on this list, and will most likely also be using a tool like LeadPages in the near future. Have you had any experience with the email marketing tools listed above? Leave a comment below. Let us know your thoughts! Awesome compilation of tools. I’m happy to see GetResponse. It has to be my favorite tool right now. Thanks Ellie, that’s great to hear! They’re all exceptional tools, everybody’s gotta be using at least one of them! Truth that MailChimp and OptIn Monster pretty much lead this category.. I like how MailChimp helps you get started for free, and then pay later when your list grows. Another option that I’m not sure you know about is MailPoet from WordPress; it’s free and helps you build your list, send autoresponders (super valuable) and monitor what opt-in is working through your analytics of course. Thanks for the reply Evan! Amen to that! I haven’t yet checked out MailPoet, but I’ll definitely take a look now that you’ve mentioned it. This is great. I think ConvertKit and SeindinBlue worth a mention here too.